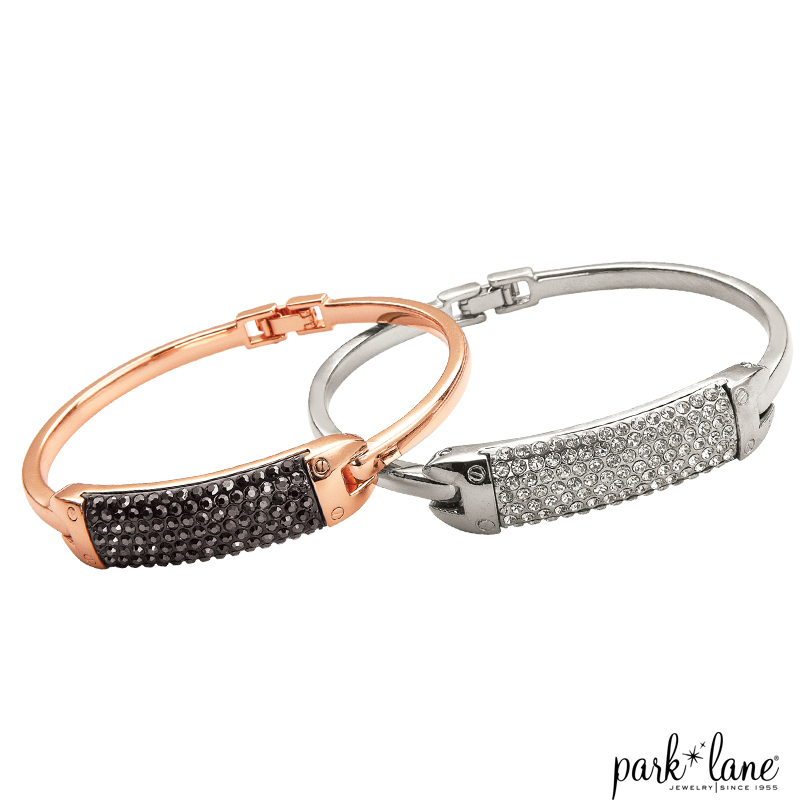 Glittering hematite crystals embellish the rose gold bar bracelet. Fold-over clasp. 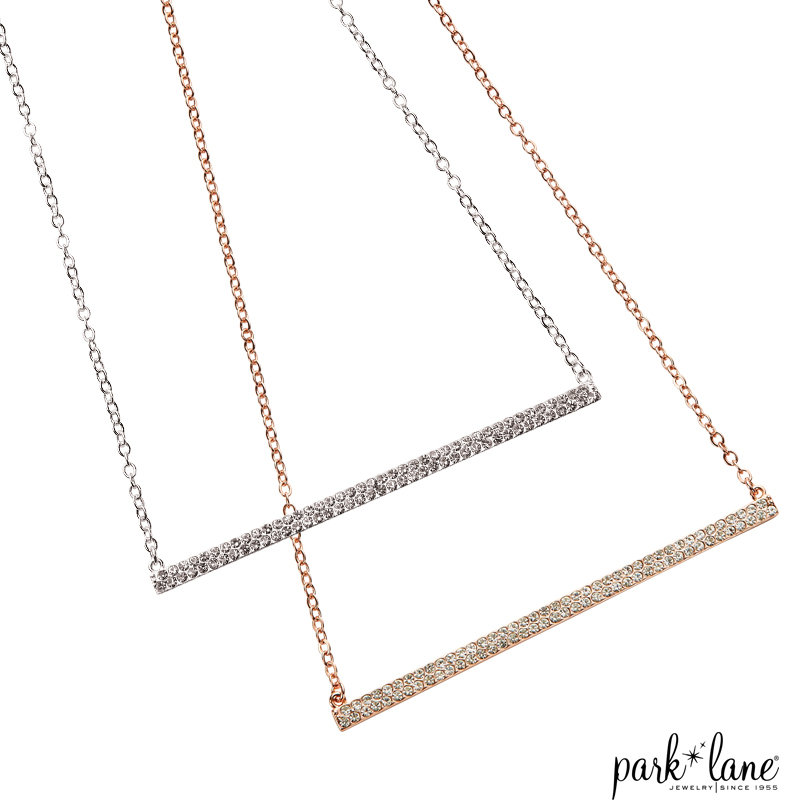 Specify rose gold. Also available in silver with clear crystals.